Here's a rare shot for all serious Mego and Batman collectors. The fabulous Fist-fighting Superheroes range of 1977 were an experiment for Mego, and were thus only released in Europe and Oceania. Result: four very rare action figures. Here they are in combat pose, with their unique side flap boxes as a backdrop. 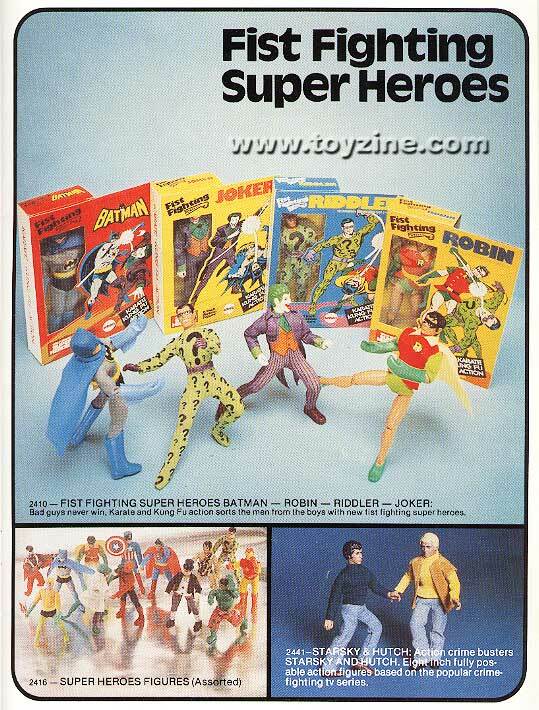 Note some of Mego's others 1977 range depicted below the fist-fighters.